The Interstate Alliance on Stem Cell Research has decided not to offer model policies for openness and transparency throughout the nation or any other model regulations for that matter. According to Warren Wollschlager, chair of the group, it will focus on compiling and sharing information from various states involved in stem cell research programs. He told the Boston Globe that there will be no national "cookbook." Wollschlager also said the group will not engage in direct advocacy efforts. "As planned, we did discuss governance issues during the meeting, and clarified that the method by which the IASCR will meet its mission of fostering interstate collaboration is by compiling and sharing information about state specific statutes, regulation and policies. This commitment to collecting and sharing state information is reflected by the focus and charge of the various working groups. Working subcommittees are charged with compiling state specific information, checking out the accuracy of the information with the various states, and summarizing the data for the full committee. All final products of the IASCR will be posted on the IASCR website. I wanted to clarify that the IASCR will not be issuing policy recommendations or developing model statutory or regulatory language." In an email to the California Stem Cell Report, Wollschlager said that all future meetings of the group will be open to the public. CNNMoney.com has a piece today on two California companies that report they are edging closer to clinical trials on treatments using human embryonic stem cells. Aaron Smith wrote the article about Geron and Advanced Cell Technology. It also mentioned Novocell. In the case of the first two companies, Smith said tests could begin as early as next year. However, schedules have slipped in the past. "'What we're seeing now in the stem cell field is like a chess match,' said Stephen Brozak, analyst for WBB Securities. 'The early moves will ultimately dictate who succeeds in the stem cell space.'" "Modern day frankenstein story," "undeniably creepy," "trying to improve the quality of life." Some of the comments on a story in the San Francisco Chronicle involving a firm that offers "to create 'personalized' stem cells from the spare embryos of fertility clinic clients." The article Monday by Bernadette Tansey said the idea is to freeze the stem cells for possible later use – "insurance for the future" – in the event that medical breakthroughs could make use of them. The company is StemLifeLine Inc. of San Carlos, which is located south of San Francisco. It charges as much as $7,000 to create and freeze the stem cells with storage costs of $350 currently. Additional fees of up to $2,000 could be charged. Tansey said the firm's proposal has set off a "flash fire of protest" from both supporters and foes of stem cell research. Forty-seven comments were filed by the public on the story(they can be read at the end of the Chronicle story). The wide range offers some insight into the magnitude of the public education challenges that stem cell research still faces. Particularly since the Chronicle audience presumably consists largely of stem cell supporters. The story also reported that the firm's business has triggered something of a tussle involving folks from UC San Francisco and Stanford. 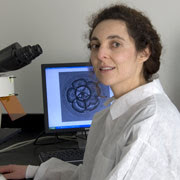 The head of StemLifeLine is Ana Krtolica(see photo), a former researcher at UC San Francisco. On the firm's advisory board is Susan Fisher, who heads the UC San Francisco stem cell program. Olga Genbacev, a member of the firm's board, is a scientist in Fisher's lab. Tansey also reported that "the company's staff and boards include present and former research collaborators of Fisher's." "These companies are essentially taking advantage of people's ignorance and fears to make a buck,"
Also commenting negatively from Stanford were Rene Reijo Pera, director of Stanford's stem cell program and formerly of UC San Francisco, and Chris Scott, director of the Stanford program on Stem Cells in Society. San Diego is one of the global centers for stem cell research. This week it was also the scene of disastrous wildfires that destroyed 2,000 homes and left $1 billion damage. The fires meant personal tragedies for some, closures of businesses and loss of some research. The fires also served notice once again to businesses and researchers of the impact that natural disasters can suddenly have and the importance of emergency planning, especially in Southern California which is also in an earthquake zone. Stem cell research and businesses are just one component of a large life science industry in the San Diego -- one that encompasses 500 firms and 36,000 employees. In an effort to provide a partial view of the fire's impact, The California Stem Cell Report queried a handful of folks in the stem cell business in fire area. In the case of Richard Murphy, interim president of the California stem cell agency, he was in San Francisco working as the fire advanced towards his home in Rancho Santa Fe. Murphy said the home was being rented while he worked in Northern California, and reported on Thursday that the house was safe. Researcher Jeanne Loring of the Burnham Institute in La Jolla was in Maine at a stem cell meeting. She said via email that her house in Del Mar had been on the mandatory evacuation list but that it was safe. "I took a break from following the fires on the Internet to give a seminar to a class of a human ESC training course here in Bar Harbor." She said that at one point both Burnham and neighboring Scripps were closed, but power remained on and the cell banks were okay. Salk and UC San Diego were also partially or completely closed at times. "Some experiments were lost just because the researchers were evacuated. Some people who were evacuated were staying at the labs. I offered my office couch, but I don't know if anyone took me up on it....One unexpected benefit was that the NIH gave grant applicants a grace period. We have a few more days to work on one stem cell grant from the Burnham that was due on Tuesday!" Floyd Bloom, a member of the CIRM Oversight Committee and executive director for science communications at Scripps, said, "I've been hunkering down, trying to keep my mind off the tragedies by working." Jay Blankenbeckler, a biotech manager at Invitrogen in Carlsbad in northern San Diego County, awoke early one morning in his Rancho Bernardo home to find high winds and approaching blazes. Time magazine quoted him as saying that mature palm trees in his yard were bent over. "They were doing this swirling thing. My palm trees, 35 to 45 feet of palm tree, almost looked like a swizzle stick in a drink, moving around in a big circle." He and his family evacuated, and at last report his home was still okay. Bioworld Today reported that at one point half of the staff of BIOCOM, the Southern California industry association, was evacuated from their homes. The online publication reported that many biotech businesses had to close during the fire. Invitrogen at one point sent most workers home from its main production facility. But it said shipments won't be affected, according to an article by Mike Nagle on us-pharmatechnologist.com. It has another distribution site in Maryland. "This poses several problems, not least of which is how to care for any animals kept at the facility and where to take them should they need to be evacuated. A further problem is what to with the, often very expensive, compounds used at each facility, many of which require special storage conditions, or are still being used in active experiments or haven't yet been fully analyzed. "Notwithstanding the fact that much of these materials may intrinsically be commercially sensitive, this is where nearby but not at risk life sciences companies come into the equation, which obviously have the facilities to look after both research animals and chemicals. "Of course, this is ignoring the more simple fact that a fire at a facility that contains vast amounts of chemicals could be an environmental disaster. However, the companies in the area will, of course, have made contingency plans for emergencies such as this - especially since this is not the first time California has been devastated by wildfires: four years ago, wildfires swept through Southern California, killing over 20 people." Nagle said that the daily production of the life sciences companies in San Diego runs about $23 million a day. Seventeen California universities and research institutions have applied to the California stem cell agency for $227 million to build major new labs throughout the state. It is single biggest round of grants in CIRM's short life. As usual, CIRM refuses to release the names of the applicants, making it difficult for the public to comment, support or express reservations on the grants during the most critical stage of reviews. However, it is fair to say that any institution with a significant stem cell research presence will have applied along with those who are seeking to build that capacity. It is also fair to say that public disclosure of names of grant applicants, prior to formal review, would have avoided the flap earlier this year about a $2.6 million grant to CHA RMI in Los Angeles. In the case of the lab grants, applicants are certain to include nearly all the University of California campuses, Stanford, USC and the San Diego stem cell consortium, which includes Salk, Scripps and Burnham in addition to UC San Diego. So if you readers have any reservations about the ability of those institutions to make good use of a $20 million or so lab grant, you can email or write CIRM, whose web site -- www.cirm.ca.gov -- carries all the contact information. Earlier this week, the California Stem Cell Report and the Foundation for Taxpayer and Consumer Rights appealed to the agency to reconsider its secrecy policies in connection with the use of $227 million in taxpayer funds. No, was CIRM's response. The secrecy policies, however, fly in the face of the spirit if not the letter of the California Constitution, which states that the people of the state have a "broadly construed" right to access to information involving the public's business. The amendment to the constitution was approved by 83 percent of voters in 2004. That was the same year voters approved creation of the stem cell agency by only 59 percent. The incoming president for the California stem cell agency, Alan Trounson, is in the news again, this time as the target of a malicious, anonymous attack. "Monash University has condemned anonymous allegations that leading stem cell scientist Alan Trounson used fraudulent research to obtain federal funding as false and malicious. "Professor Trounson and his colleagues at the Monash Immunology and Stem Cell Laboratories said the charge was without substance. A California watchdog organization is calling for national guidelines on government-funded stem cell research that would ensure openness, transparency and accountability in the multi-billion dollar state programs. The appeal came from John M. Simpson, stem cell project director for the Foundation for Taxpayer and Consumer Rights (FTCR) in Santa Monica, Ca. The organization's recommendations came as the Wall Street Journal reported on a Congressional inquiry into transparency and conflict issues in another area of government-funded science – this one involving lung cancer research. Simpson said in a letter to the Interstate Alliance for Stem Cell Research, which begins a meeting Wednesday(Oct. 24) in Boston, that it should commit to holding public meetings for all future sessions. Simpson was ousted from a meeting of the interstate group last May in California, although he had been invited to its first session. A representative of the National Academy of Sciences, which is backing the meetings of the interstate group, told Simpson the meeting was not open to the public despite the fact that it involved public officials and public money. "I fully expect the Interstate Alliance will have a major influence on rules and regulations in all the states that are represented. That means it is imperative that the public have access to your deliberations and the ability to offer input and comments. Given the potentially contentious nature of publicly funded stem cell research, the need for the utmost transparency is even greater than would otherwise be the case." "Such a working group should go beyond members of the state stem cell agencies and include representatives of organizations committed to public access in government operations." Simpson's letter was directed to Warren Wollschlager, chairman of the interstate group. Simpson told the California Stem Cell Report that Wollschlager said he would bring up the openness issue at the Boston meeting. The Wall Street Journal article highlighted some of the issues involved in openness and transparency in even relatively non-controversial research, much less the heated debate over human embryonic stem cell research. "...was concerned that potential conflicts of interest 'could damage the credibility' of the decade long, $200 million National Lung Screening Trial. The results are expected to have a significant impact in standards for lung-cancer screening and who will pay for it. "Two of the trial's principal investigators have testified as paid experts for tobacco companies facing lawsuits seeking to force them to pay for smokers' annual CT scans." A move to reveal the identities of the major universities and research institutions seeking $227 million in California taxpayer funds for stem cell lab construction was turned aside today by a key committee of the state's stem cell agency. The Foundation for Taxpayer and Consumer Rights of Santa Monica, Ca., and the California Stem Cell Report appealed to the Grants Working Group to make an expression of support for public disclosure of the names of institutions and for opening review of their applications to the public. The group took no action on the requests. Only two members of the group responded. Marie Csete(see photo), a scientist from Emory University, said the most important elements of the review involve the work that is proposed at the facilities – not the labs themselves, which she described as "tools." She also noted that the reviewers are funding the work of their "competitors." California stem cell Chairman Robert Klein endorsed Csete's remarks in a brief comment. Our comment. One of the stronger arguments for public disclosure and review is the fact that the scientific reviewers are dealing with the livelihoods of their professional competitors. While the reviewers are all from out-of-state, the stem cell world is truly global. It is also small and intensely competitive. We should also note that the reviewers are not eligible for funding from California. That contrasts with the NIH, whose grant reviewers are eligible for funding from that agency. At the California stem cell agency, scientific reviewers receive only a small stipend and expenses for the time they spend away from their own work. They basically do it for free with perhaps the major benefit coming from a chance to see interesting proposals from California scientists and meet with their peers at CIRM expense. Here is the statement by the California Stem Cell Report at the Oct. 23, 2007, meeting of the Grants Working Group of the California stem cell agency. By way of introduction, my name is David Jensen and I publish the California Stem Cell Report on the Internet. I have followed the affairs of the California stem cell agency since December 2005 and have published nearly 1,400 items involving CIRM. First, I want to express my appreciation for the work you are doing here today and tomorrow, especially to those of you from out-of-state. Spending two days in a hotel reviewing complex grant proposals – taking time away from your own work and families – is not a minor matter. Thank you. My main point today involves the openness and transparency of the proceedings of the California Institute for Regenerative Medicine, an agency unlike any state department in California history. As a result of the enactment of Proposition 71, CIRM operates outside of much of the normal state government oversight and is virtually independent of the governor and legislature. At the same time, it is overseen by a board that includes employees of institutions that stand to benefit financially from the CIRM actions. In the case of the upcoming round of $222 million for lab construction, 17 of the 27 current members of the Oversight Committee could see their connected institutions benefit from a facilities grants. Currently, review of applications from individual researchers is conducted behind closed doors. CIRM has decided to keep the discussions private in order to encourage maximum candor and frankness about the work of individuals, which would be discouraged if the reviews were conducted in a public. However, applications for the major lab grants – which you will be reviewing in the not-too-distant future – are much different than those from the men and women who direct stem cell research labs. The applications for lab construction funds will come from huge institutions such as the University of California and other major educational and research enterprises. Their names and applications should be part of the public record. And your review of those applications for $222 million in public funds should be conducted in public. It is hard to see a justification for a closed-door review of a lab grant application, for example, from UC Berkeley. In fact, the review of the lab grants will become public – but only after your group performs the most critical segment of the review. And that is where the public's interest is the greatest. One can argue that individual researchers and their applications should be discussed behind closed doors to avoid embarrassment and to encourage frankness. But that hardly applies in the case of an institution such as Berkeley, which regularly comes under the harshest form of public criticism with nary a flesh wound inflicted. Equating the sensitivities of UC Berkeley or other likely institutional applicants for lab grants to the sensitivities of an individual researcher would seem to defy common sense. The California stem cell agency has a special public trust. One of its missions is to encourage public support and understanding of human embryonic stem cell research. And it should not hand the foes of good science additional weapons that can be used to attack such research. Conducting grant reviews unnecessarily behind closed doors only feeds suspicion and the worst sort of speculation. Openness and transparency inspire public confidence and make it clear to all that no mischief is afoot. I urge you to consider making an informal expression of sentiment to CIRM and the Oversight Committee in favor of publicly identifying applicants, publicly releasing their applications and conducting the scientific review of the lab proposals in public. If there are segments of the applications that must be examined in private, that can easily be done in an executive session, just as the Oversight Committee does when it considers applications after your work is done. Opening the doors on the lab grant review would reflect well on the agency and be an important step in fulfilling CIRM's promise of adherence to the highest standards of openness and transparency. Thank you. Here is the statement by the Foundation for Taxpayer and Consumer Rights presented at the Oct. 23, 2007, meeting of the Grants Working Group of the California stem cell agency. First, I’d like to apologize for not being able to be present today and thank David Jensen of The California Stem Cell Report for reading this on my behalf. Second, I’d like to thank all of you for serving on the Grants Working Group. We truly appreciate your efforts. By way of introduction, I’m John M. Simpson director of the Foundation for Taxpayer and Consumer Rights Stem Cell Oversight and Accountability Project. Funded by the Nathan Cummings Foundation since December 2005, the project seeks to ensure that the taxpayers funding California’s landmark $6 billion stem cell research program have affordable access to any of the discoveries they have funded. As part of the project we have challenged the validity of the stem cell patents held by WARF. In a few minutes you will enter closed session to review the scientific merit of applications for New Faculty Awards. While I don’t agree, I understand the argument that the applicants’ names and the deliberations should be confidential to protect individual researchers from possible embarrassment. I don’t intend to reargue that issue now. Rather, I’d like to ask you to look ahead a bit. Soon you will be weighing the scientific merit of requests from various California universities and research institutions for their share of $225 million in grants to build laboratories. As it now stands those institutions are not being identified and the reviews will be done in secret. Ironically, the applications will be publicly reviewed later in the process by the Facilities Working Group when it weighs the proposals on their technical merits of design, construction and such. To this outside observer that means it's OK to embarrass an institution because it can't design and build a decent building, but it's not all right to embarrass its scientists. Sadly the public will inevitably view this as a remarkable self-serving, in-bred club that is doing scientific reviews. That's the real embarrassment. If scientists’ egos are so fragile they can't stand public scrutiny, they ought not to have a shot at public money. Nor should the institutions that employ such tender souls. I ask you to please strike a blow for transparency that publicly funded stem cell research requires. Take the opportunity to show the public how the scientific review process works. Please take a vote amongst yourselves that urges the facilities applicants be identified and the scientific review be public. Alan Trounson, the incoming president of the California stem cell agency, says it will be a "very low key affair" with a few friends and a small reception. You might call it a stem cell wedding. But not exactly one contemplated six months ago. Trounson (see photo) and his partner for the last 19 years, Karin, will be getting married. As we all know, Trounson has taken a job in the United States. But Karin – not to mention their children -- will not be able to come along with him unless they perform the nuptials. So say US immigration authorities, despite Karin's Swedish and Australian citizenship and dual passports. The couple have two boys: Karl, 16, and Alex, 6. Trounson has two other children, Kylie, a 30-year-old lawyer, playwright and actress, and Justin, 27, who has international interests in the tourist industry. Trounson said Karin has a Ph.D. in women's health and would like to continue her career in California. "We are very comfortable and supportive partners and have no problem in getting married." "Karin thinks the event is worth celebrating but our commitment to each other is larger than this ceremony. The kids are joining in on the fun." We figure the wedding feast will include roasted koala and aquavit. And the music? Well, probably didgeridoos and accordions. The case of the embryo vs. the California stem cell agency has been kicking around a couple of years or more – one of the reasons we did not pay much attention to it when it surfaced again recently. But Kristen Philipkoski of Wired.com demonstrated the bizarre nature of the suit in an item last week. The New West Notes blog has taken a brief look at the life and times of the California stem cell agency – a largely laudatory review accompanied by a 9-minute video of California Attorney General Jerry Brown. Bill Bradley, author of the blog and a longtime observer of California politics, uses the stem cell program as an example of how things can actually be accomplished in state government, as opposed the impasses on health care and water policy, among other issues. Brown (photo above) is seen on a YouTube taken at what appears to be a campaign appearance last year at Advanced Cell Technology in Alameda. The video, although lengthy, has been edited to focus on Brown's stem cell remarks. In the video, he promises to be a "champion" of stem cell research in California and nationally. "I will do whatever I can to alleviate suffering," he says. One of the interesting aspects of Bradley's item are the numerous comments on it from readers. "The embryonic stem cell research bond was one of the biggest special interest giveaways in history. "Companies that stood to make hundreds of millions or billions APIECE by having the taxpayers fund their R&D (and their investors)donated millions to convince the taxpayers that this research wouldn't happen without billions in taxpayer support. It worked. "So now the biotech conglomerates and VC firms have a huge subsidy, and we're all supposed to feel good about it. "It's the Donald Trump model: convince someone else to pay your costs while you reap the benefits." Consider the following from Floyd Bloom, the latest appointee to the board of directors of the largest single source in the world of funding for human embryonic stem cell research. "A growing problem of major proportions has been staring us in the face for many decades. Until solved, this long-neglected problem presents a gigantic obstacle to the application of the discoveries flowing from biomedical research into deliverable standards of medical practice that could benefit all of society, both in the United States and globally. This problem is the imminent collapse of the American health system. Unless steps are taken soon to undertake a comprehensive restoration of our system, the profound advances in biomedical research so rapidly accruing today may never be effectively transformed into meaningful advances in health care for society. "Today's term for such evolutions of discovery into application has been dubbed 'translational research'. The appealing notion that research advances travel from bench to bedside is laudable, but conceptually flawed." 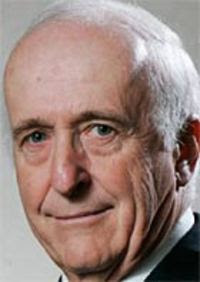 Bloom made the statement in 2003 when he was was president of the American Association for the Advancement of Science. While some on the Oversight Committee of the California stem cell agency may share his sentiments, few have expressed them so publicly and eloquently. Indeed, Bloom's views seem, in many ways, a departure from the standard operating procedure at CIRM, which is somewhat wary of flying in the face of established scientific and medical culture. Bloom (see photo) was appointed this month by state Treasurer Bill Lockyer to fill a vacancy on the 29-member CIRM Oversight Committee. Lockyer said that Bloom has "dedicated his life to biological science research and is responsible for numerous breakthroughs in neuroscience understanding." 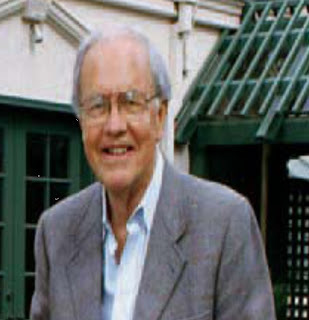 Bloom retired in 2005 as chairman of the Scripps Research Department of Neuropharmacology in La Jolla, Ca. At the time, he said he planned to devote more time to Neurome, Inc., a La Jolla biotechnology firm involved research into human neurodegenerative diseases. Bloom co-founded the firm in 2000. "The best thing is to have controversy in an intellectual manner because people read it. They like to see the Christians fight the lions, right? And so if you can engage in an intellectual discussion, then you attract readers and at the same time people get informed from the debate because they'll learn parts of alternative arguments." "I'd like for us to consider health care to be regarded as something like a public utility. To me, if we agree that universal coverage is something to be desired, is that really much different than the fact that we've all agreed that everyone in the country is entitled to have electricity, water, telephone connections, if they can pay for it. We have all kinds of ways to help people get those basic provisions of life. "And health benefits could be viewed in exactly that same utilitarian way. It could be a corporate network like water power and electricity, with regulatory agencies that set the rates for profit." The California stem cell agency today reversed itself and decided to permit public comments prior to two days of closed hearings next week on requests for $85 million in grants to California researchers. "An open session will not be held for the meeting of October 23-24, 2007 as business will be limited to review of grant applications." David Serrano Sewell, a member of the CIRM Oversight Committee, sent the following on the "Public Barred" item below. "Just read your item regarding the public being barred from the upcoming Grants Working Group meeting. To my recollection, those agendas have always included an opportunity for the public to address the working group. The failure to include such an item for this agenda was probably a honest mistake that must be corrected. I (and the the patient advocate working group members) support the public attendance at working group meetings. Thanks for catching this!" The Interstate Alliance for Stem Cell Research, which once ousted a member of the public from a meeting in California, will hold two days of open public meetings in Massachusetts next Wednesday and Thursday. The agenda (see item below) for the group, operating under the auspices of the National Academy of Sciences, includes a host of major issues that states are grappling with across the country. They include model language for the term "acceptably derived," payment issues and health care for egg donors, certification of stem cell lines from other states and countries and the grant review process. We applaud the decision to make the meeting public. Billions of dollars in public resources are involved along with the need to maintain confidence in embryonic stem cell research. Closed door meetings and secret processes generate suspicion and encourage the worst sort of speculation. "I'm glad to see the change of heart. Too often the scientific establishment has displayed a paternalistic 'trust-us-we-know-best' attitude that in fact undercuts public support for science. Scientists need to engage and educate, otherwise we end up with the know-nothing attitude too often exemplified by the current administration." Here is the agenda for next week's public interstate stem cell meeting. The purpose of this meeting is to review progress on the working group assignments made at the May 23-24 Irvine, CA meeting and to identify additional issues the IASCR needs to address. Two days of closed-door meetings will be held in the San Francisco Bay area next week to consider the 59 applications for $85 million in faculty award grants to be handed out in December by the California stem cell agency. The agency's Grants Working Group will meet next Tuesday and Wednesday at the Sheraton Gateway Hotel in Burlingame to make decisions on which grants to recommend to the Oversight Committee. The agenda explicitly states there will be no open sessions at which the public can comment. That bars the public from even appearing to protest or comment on the lack of public access, which seems to be the first such ban by CIRM, an agency that has vowed to uphold the highest standards of openness and transparency. Previously, such meetings, including the very sensitive meetings involving the search for a new president, have included at least a brief session during which the public could comment. Here is a list of the members of the Working Group, whose economic and professional links to applicants are secret. Also being withheld by CIRM decree are the names of the applicants for the state funding and even the institutions (including state-funded universities) where they are employed along with a general summary of the research they are proposing. 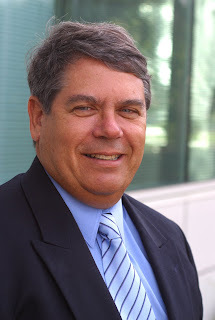 John M. Simpson, stem cell project director for the Foundation for Taxpayer and Consumers Rights of Santa Monica, Ca., is one of the more diligent watchdogs of the California stem cell agency, which is funded by taxpayers to the tune of roughly $6 billion (including interest). Simpson (see photo) and his organization support human embryonic stem cell research, but they also have concerns about CIRM, an organization unlike any other in California history. It is virtually untouchable by the governor or the legislature, a distinction enjoyed by no other state agency. CIRM is also an organization with built-in conflicts of interest, all legal because they were approved by California voters in Prop. 71, which created the stem cell agency. We believe that means that CIRM should operate with more disclosure and openness than any other state agency. Such openness is in CIRM's own best interest, given the impact that even a minor scandal might have. All that is a preface to Simpson's comments below, carried verbatim, on the Australian-Trounson stem cell research inquiry(see the several items below). Here is what Simpson sent exclusively to the California Stem Cell Report. "As word makes its way from Australia to the United States about an investigation of a researcher in Alan Trounson's Monash Immunology and Stem Cell Laboratories, one point is already clear. "There must be complete transparency and accountability in publicly funded research. "Everyone interested in California's stem cell program is waiting for that report to see what degree of culpability -- if any -- Trounson had for things apparently done by others in his laboratory. "Even before the report's release, the situation once again demonstrates the need for oversight, transparency and accountability in scientific research. Time and time again around the world, too many scientists have bent the rules for their own personal gain. Research simply must not be funded without the highest degree of public scrutiny. "CIRM staff demonstrated the necessary high standards when after its vetting process, two ICOC-approved research awards were not granted. "I suspect Trounson will emerge from the Monash probe unscathed, and I hope it will be with an even stronger commitment to the standards of accountability and transparency required by CIRM. "Nonetheless, the ICOC should review closely the Monash University report when it is available and not allow itself to be blinded by the glitter of a world-class researcher. Even before the report's details emerge, however, the need for transparency and openness in all aspects of publicly funded research is demonstrated yet again." Does the Trounson Story Have Legs? The Australian stem cell research flap involving Alan Trounson made its North American debut today in a story in the San Francisco Chronicle. It also surfaced in one of the more serious scientific magazines, the Scientist. Stephen Pincock of the Scientist added some details on the research. He also indicated a conclusion to the investigation is imminent. Sabin Russell's story in the Chronicle pretty much recapped previous material. A reader on the Scientist web site, only identified as Leah, commented, "Why are there so many scandals around stem cell research? What a waste of money." The not-so-good news is that the stories have handed another cudgel to those who would batter embryonic stem cell research. The case in point is an item by J. Wesley Smith(see photo), whose piece was headlined, "New CIRM Director's Research Under a Potential Cloud." However, after some initial fumbling, the Australian stories have made it clear that Alan Trounson is not under investigation. Rather, another senior scientist involved in the $1.2 million project is the target, according to Australian officials. The Australian, in a story by Leigh Dayton quoted California stem cell Chairman Robert Klein on the matter. "I am fully aware of this and it is not Alan's work that is being questioned. My understanding is that this is a data issue that relates to the science carried out by a specific researcher." Dayton wrote that Klein "solidly backed" Trounson. Dayton reported that Klein said that Trounson discussed the matter with the presidential search committee prior to his appointment. One report from Australia quoted a CIRM spokesman as saying, "We're aware of the situation and have it under careful review." Interim CIRM President Richard Murphy confirmed, for the California Stem Cell Report, that was the agency's position. Reporter Dan Box of the Australian wrote that Monash University is tossing out all the data from the experiment. He also quoted Monash officials as saying it is not known when the nine-month-old investigation will be finished. Dayton wrote this about the details of the project. Specifically, "benchmarking" reports claimed the group had developed a designer mouse that mimicked lung damage from smoking. The reports also claimed the team had experimental results showing that treatment with adult stem cells reversed respiratory damage in the mouse. According to the ASCC investigation, neither claim was supported by documentation in the lab's notebooks. In the increasingly rarefied atmosphere of stem cell philanthropy, a $3 million gift does not necessarily make big headlines. Especially when it goes to a school outside of the small circle of stem cell stars. So last week when one of the founders of Amgen, William Bowes(see photo), gave that amount to the University of California campus at Santa Barbara(UCSB), it hardly caused a ripple in the media. Something similar occurred earlier this year when renown University of Wisconsin stem cell researcher Jamie Thomson became affiliated as an unpaid, adjunct professor with UCSB. It was nearly a non-announcement and received little initial attention. But the school put together a $1 million package for him and is building a lab. All of which reflects very much on the way the California media works. If it doesn't happen in Los Angeles or San Francisco, it is not likely to receive much notice. But more particularly none of the news reports on the donation put it together with Thomson's presence at UCSB, which is very much a part-time thing. But it is hard to resist speculating that Thomson and UCSB could draw ever closer. "UCSB is bringing to stem cell research its characteristic approach of integrating science and engineering in a single center. The Ruth Garland Chair is central to this approach, because it allows us to attract a researcher of national stature to lead the new center." The $3 million donation was given by Bowes in memory of his mother, Ruth Garland. She was born in Santa Barbara and raised in nearby Ojai. Her grandparents settled in Santa Barbara in 1855. Educated as a physican at Stanford , she participated in a major diabetics study with William Sansum in Santa Barbara. A nonprofit research facility in Santa Barbara bears his name. It was one of the first places in the United States to do studies on insulin after it was discovered. "The gift will allow us to bring in senior talent in the stem cell field to be director of a new center, which will allow us to build on our rapidly growing program in stem cell research, and we are really excited about it. We have had interest in the position from the US and abroad. We have already formed a search committee and will be inviting candidates for interviews in the near future." An Australian news report about an investigation involving Alan Trounson and a stem cell research project is apparently not entirely correct on some of the details. Here is what we have been told concerning Trounson's role on the project (see item below). Trounson was the leader of the respiratory research program, which had three principal investigators (PI) and 16 scientists. The person being investigated was a PI (senior research fellow). An Australian newspaper is reporting that Monash University is investigating "inconsistencies" in a $1 million research project involving Alan Trounson, the incoming president of the California stem cell agency. Reporter Carly Crawford of the Daily Telegraph said the stem cell research project "is under investigation after it was scrapped for delivering highly doubtful results." Crawford quoted a university spokesman as saying the investigation involved "possible inconsistencies." "I will not comment on this matter while it is being investigated by the university." The newspaper said Trounson was not being investigated by Monash University but that he had been interviewed. The matter involves interim findings from lung regeneration research conducted at Monash with public funds, according to Crawford, apparently from the Australian Stem Cell Center, which Trounson co-founded and which is scheduled to receive $115 million in government funding over a 10 year period. According to the newspaper, Trounson was the principal investigator on the project, which involved 13 scientists. Investigators were required to submit 90-day progress reports to keep the grant funding flowing. The story said that "inconsistencies" were found by the Australian Stem Cell Center in multiple progress reports that were signed by Trounson and an unnamed senior researcher. (Editor's note: Later information (see item above) indicated that Trounson was the leader of the respiratory research program, which had three principal investigators (PI) and 16 scientists. The person being investigated was a PI (senior research fellow). The story did not make it clear when the inquiry began. It said that the Stem Cell Center referred findings to Monash last December. The story also said the project was abandoned in February after inconsistencies were found. Some of the reports earlier this week on the Nobel prize in medicine did not highlight its key link to human embryonic stem cell research or, indeed, how it plays into the WARF stem cell patent challenge. The connection was something that initially eluded this sometimes science-challenged writer. But we asked Jeanne Loring of the Burnham Institute (soon to be of the neighboring Scripps Institute) to elucidate. She said it was "a spectacular day" for embryonic stem cell researchers. "The Nobel Prize for Physiology or Medicine was awarded to three pioneers in embryonic stem cell research. 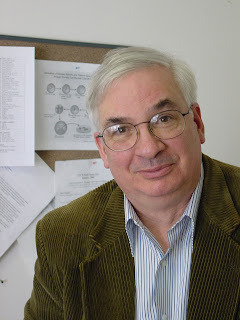 Dr. Martin Evans and his colleagues accomplished a scientific coup in 1981, creating the first embryonic stem (ES) cell lines. Dr. Mario Capecchi and Dr. Oliver Smithies developed a way to alter genes in the ES cells, and for the last 20 years, scientists have used these scientific procedures to create hundreds of valuable new strains of laboratory mice. Some of these mice contain human disease-causing mutations, and are used all over the world for research on cancers, obesity, diabetes, Alzheimer's disease, Huntington's disease, and dozens of other diseases. These mouse 'models' of human disease are invaluable for pharmaceutical development and have had a dramatic effect on accelerating the pace of new drug development." Loring is one those challenging WARF's patents on stem cells, a matter that has troubled some in the research community, including the incoming president of the California stem cell agency, Alan Trounson. In April, Loring wrote an op-ed piece in the Wisconsin State Journal, commenting on the justification for the challenge and the early negative findings by the federal government. "WARF's executives are understandably unhappy about the patent office's decision because they think they will lose money. "But they could save an enormous amount of money, and gain a great deal of good will, by quietly dropping their claims to human embryonic stem cells and allowing the judgment of the patent office to stand. If they did this, they could be seen as a supporter, not an exploiter, of scientific research. "If Sir Martin Evans of Scotland, who was one of those who first made embryonic stem cells in 1981, were to be awarded the Nobel Prize for his discovery, as is expected, WARF could gracefully take credit for helping scientists build on his landmark research." California stem cell agency officials seem ready to dissect a $31 million proposal to train thousands of persons to work in the stem cell industry and use it as the framework for competitive bidding on efforts to beef up the biotech workforce. The proposal from the California State University and community college systems came up for a brief discussion at last week's Oversight Committee meeting. Richard Murphy(see photo), interim CIRM president, told committee members that CIRM funds should be awarded on a competitive basis. However, he said more discussions will be held with officials at CSUS as the CIRM staff works out concepts for RFAs. The CSUS and community college systems, assuming they remain focused on CIRM, are likely to win their share of the grants. CSUS officials presented their plan to the Oversight Committee last August. No other options were laid out at the time, although Oversight Committee members raised a series of questions. CSUS responded with a lengthy report prior to last week's meeting. Training is an important part of the CIRM's strategic plan. especially in the next year or two. The plan designated about $38 million for technical staff training and about $35 million for scientific personnel development. "The growth of this industry will require an educated and well-trained workforce. CIRM will support training of technical staff with essential skills for stem cell research such as cell culture, microscopy, fluorescence-activated cell sorting and analysis, micromanipulation techniques, surgical techniques, and good laboratory practices (GLP). Training will be supported at the undergraduate and masters levels with certificate or degree programs. Successful biotechnology training programs have already been implemented at several California colleges and universities as a means of supporting the broader research community. CIRM will seek to support similar programs that focus efforts towards maintaining an adequate supply of technical staff for stem cell research. David Serrano Sewell, a member of the Oversight Committee of the California stem cell agency, is lauding an article by The Sacramento Bee on the selection of Alan Trounson as the agency's new president. It is somewhat unusual to find praise coming from CIRM for The Bee, which has taken a critical view editorially of many of CIRM's action. But those editorials are written in a department that operates independently of the newsroom, which in turn operates independently of the editorial department. It was a news article that Sewell praised. "...was dead wrong in his assessment that the (CIRM) management structure presents some 'challenges.' The challenges are not in the agency's governing structure; rather, they originated from Zach's inability to effectively work with the entire board. Happily, those 'challenges' are behind us. Dr. Trounson is a breath of fresh air!" There is a bit of history involving Sewell and Hall. Last April Sewell confronted Hall during a public meeting of the agency's Facilities Working Group, in a manner which some members of the Oversight Committee found disturbing. One said later she could not believe "the tone of contention, sarcasam and aggression toward Hall." Elaine Howle, the California state auditor, knows a great deal about the mischief that goes on in state government. And make no mistake about it, mischief does occur even when the multibillion dollar battle ground is in public and the economic interests are on full display. She also knows that the mischief can grow even greater when the doors are closed and the financial interests of the major players are hidden from the public, such as in the case of grants awarded by California's $3 billion stem cell agency. So Howle (photo above) recommended last spring that the California stem cell agency, with its $3 billion research effort, do more to ensure that its conflict of interest code is followed. Her suggestion was rather modest considering the stakes: CIRM should ask the state attorney general for an opinion about whether the men and women who make the basic decisions on hundreds of millions in dollars in grants should be required to publicly disclose their economic interests. CIRM's answer to the state auditor came last month: No. "It is not appropriate," said the agency in letter to Howle. The letter came only 10 days before one institution withdrew its request for $2.6 million, a pitch that was approved by grant reviewers in secret last March without turning up the fact that the applicant was tied to an international scientific flap. "We have given careful consideration to your recommendation and have decided it is not appropriate to implement at this time. In almost three years of operation and approval of four rounds of grants, the recommendations of the CIRM working groups have never been routinely and/or regularly adopted by the ICOC. Until the time that such a pattern is detected, the question you suggest we raise with the attorney general is entirely hypothetical, and is therefore not appropriate for submission. We will, however, continue to monitor approvals for such a pattern and will reconsider our decision if one emerges." Murphy has some interesting lines of reasoning here, ones that clearly had the influence of a skillful attorney. One part of his response refers to "routine and regular" actions. Another says the whole matter is hypothetical, implying that hypothetical possibilities are not worthy of public action. Let's examine CIRM's contentions. First, should hypothetical situations to be ignored by government agencies? The possibility of contracting small pox or polio is hypothetical. Does that mean that children should not receive vaccinations against those diseases? Or that the government should not require them to be vaccinated in certain situations? The possibility of a terrorist boarding a plane with a bomb is hypothetical. Does that mean inspections of passengers boarding aircraft should cease? The point about PUBLIC disclosure of the economic interests of grant reviewers is to prevent serious problems. A scandal involving conflicts-of-interests among persons who make critical judgments on the requests for hundreds of millions of dollars in taxpayer funds could be crippling to the stem cell agency. It is in the agency's best interests to inoculate itself against that possibility. It is most certainly in the public's best interest. As for the routine ratification of reviewer recommendations, the Oversight Committee, which has ultimate legal authority on grant approval, has modified the reviewers' recommendations from time to time. We are sure that CIRM's able legal staff has counted the occasions and is prepared to make the case that the Oversight Committee does not routinely give grants a rubber stamp. However, from seeing the board in action and reviewing transcripts, we come to a different conclusion, although we have not yet counted and assessed each individual vote. Reviewers are making de facto decisions. Most grants are routinely approved with little discussion by the Oversight Committee. Only a relative handful have been changed by that group. Asking for a formal opinion from the attorney general is a serious matter. Such opinions have the force of law, for most purposes. CIRM would not want to seek such an opinion if it were uncertain of a favorable result. It is also fair to say that unless something changes, CIRM is not likely to ever detect a pattern of "routine and regular" approval of reviewer recommendations. To do so would open the agency to other legal perils, such as lawsuits alleging that the Oversight Committee is failing to perform its duties as required by law. Crank up those grant-writing machines. Another 147 million in California stem cell dollars are going to start moving into the pipeline this fall. The Oversight Committee of the California stem cell agency last week approved concepts for two new research efforts – one to develop new pluripotent human stem cell lines and another for planning grants for disease team research. The disease team research effort is the largest at $122 million and most complex. So this fall – probably November -- the agency plans to seek applications for up to 20 planning grants for a total of $1 million. Funding approval is expected next spring. The idea behind the disease team approach is stimulate proposals that would use strongly managed, diverse teams to accelerate development of therapies into actual use. The teams would also have clear-cut milestones on which they would be measured. All of you team-oriented folks -- and what scientist is not (a little humor there) – can find a short document here that was presented to the Oversight Committee last week about the effort. The approach is also discussed in the strategic plan. Available at last week's meeting, but not on the CIRM web site at this point, is another important, 59-page document called "Disease Team Workshop: Information Gathering Session (July 25-26, 2007)." If you want that one, send an email to info@cirm.ca.gov. Receiving a planning grant is not a pre-condition to winning an actual disease team grant later, CIRM staff said. And at the insistence of some of the medical school deans who serve as CIRM directors, the Oversight Committee also added a 10 percent indirect cost allotment in the planning grant(that is the change from the short document you will find on the web). "the discovery and implementation of alternative methods for generating pluripotent human cells." More specifically, the awards will be made to "support two areas of derivation: the generation of new human lines using excess embryos from in vitro fertilization, and derivations from other sources using new and novel methods." In addition to the document from last week's meeting, you can find more on the subject in the CIRM strategic plan. CGS on CHA: Pushed or Jumped? That was the headline on a piece on Biopolitical Times concerning the $2.6 million grant from the California stem cell agency to a Los Angeles subsidiary of a Korean business, headed by a controversial scientist. Jesse Reynolds of the Center for Genetics and Society wrote skeptically about the explanations involved in the withdrawal, declaring that they "seemed a bit disingenuous." When Prop. 71 was passed, even well-informed voters believed that the new California stem cell agency would use $3 billion in NON-taxable bonds to finance its activities. The issue is significant because it costs the state a great deal more to use taxable bonds, which were exactly what was used on Thursday. The California Stem Cell Report asked the state treasurer's office for a comparable rate if the bonds had been tax-exempt. Spokesman Tom Dresslar replied that the rate would have been around 3.55 percent. That compares to the 5.168 percent rate that the bonds were sold at, a rather hefty boost. The total interest cost for the $250 million in bonds is expected to be $31.941 million. CIRM and the state treasurer's office are seeking an opinion from the IRS that they hope will allow CIRM to use non-taxable bonds, but it is not clear when that will be forthcoming. "CHA Regenerative Medicine Institute (CHARMI) more than adequately addressed the baseless criticism leveled at the CIRM selection process by submitting documentary evidence of CHARMI's status as a registered non-profit corporation in California and tax exemption approvals by federal and state authorities. We think the process was needlessly politicized by CIRM's critics. Nevertheless, we are withdrawing because the last thing we want to do is be the source of any impairment to CIRM's current level of well-earned public support." The Sacramento Bee today carried an account of the recruitment of Alan Trounson as president of the California stem cell agency, including commentary on the future working relationship between him and California stem cell chairman Robert Klein. Klein and former President Zach Hall sometimes appeared at loggerheads, if not worse, although the management and policy disputes were largely papered over in public. "I think our skills are complementary and we are well suited for a very productive partnership. 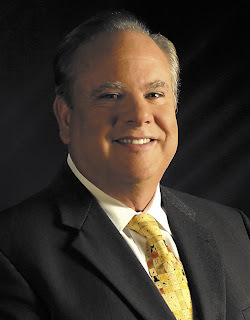 Bob Klein has a wealth of experience in finance, law, bonds, political connections and advocacy. That is worth tapping for the timely delivery of our outcomes." Klein told Downing that he anticipated a smooth relationship. "Dr. Trounson ... views this board as a resource that he can jointly make decisions with. Dr. Hall was accustomed to being a deputy dean at a medical school, where what he said goes. I deeply respect the contribution made by Dr. Hall, but ... his was a difficult leadership style." "The good news is that Bob (Klein) has recruited him and Bob has spent a lot of time with him. So I'm very hopeful the two of them will be able work together effectively. I think that's extremely important." California today sold a whopping $102.8 million of its stem cell bonds to individual investors, more than triple the amount expected by the state. The size of the sale, 41.1 percent of the $250 million total, testified to the powerful lure of stem cell research for a large segment of the public. The number probably could have been higher if publicity had been generated earlier among the patient advocate and other sympathetic groups. The taxable bonds were sold at a 5.168 percent rate, which is 1.15 percentage points higher than today's rate on three-year U.S. Treasury notes. Institutional investors purchased what individuals did not. "The investment by individuals far exceeded our expectations and shows how strongly Californians believe in the promise of stem cell research to cure diseases and relieve suffering,"
"Certainly many of the investors are patients suffering from debilitating disease or injury. They’re making an investment in their future – not simply their financial future, but their future quality of life." Lockyer also noted that it was the first time California bonds have been used to directly finance the development of intellectual capital. He said $48 million of the proceeds will go to pay back the bond anticipation notes that philanthropists purchased to provide funds for CIRM while it was hobbled by litigation. More than $200 million will go for research grants. That means that state is still waiting for repayment of a $150 million loan to CIRM. It also means that a new round of bond financing is likely soon. The agency currently has $850 million in untapped bonding capacity out of the $3 billion authorized in 2004. It can only issue $350 million a year, but unused bonding capacity is carried over year to year. The $250 millon California stem cell bond offering today has triggered some unusual coverage of the state's research agency throughout the country. Ordinarily the issuance of bonds by California attracts virtually no media attention. But since State Treasurer Bill Lockyer has created a program under which small investors can easily buy the bonds, stem cell bond news has a bigger audience. Both CIRM and the state treasurer's office were a tad slow on picking up the idea of generating favorable publicity on the stem cell bonds, given that the cause of stem research has some nearly fanatic followers. But in the last couple of days, press releases rippled across the country, generating stories including one notable video piece on CNBC. The segment was long – seven minutes and 39 seconds – but more than one of the participants needed to do additional homework. The CNBC anchor who introduced the topic about California issuing stem cell bonds began with this question: "Do they have this right?" No one really answered the question, but, of course, the answer is yes. Another participant said that government is not in the business of funding "speculative" research, apparently not aware of the billions already provided for research by the NIH. As usual with many TV news interviews, some heat was generated during the discussion among the four participants. Perhaps some light also. But for the most part, the CNBC effort demonstrated the shallow level of knowledge about stem cell research and the California stem cell agency. With no fanfare whatsoever, the $3 billion California stem cell agency – already the largest single source of funding for human embryonic stem cell research in the world – Wednesday took the first step towards extending its life by moving forward on creation of a loan bank for the biotech industry. Few details were available. 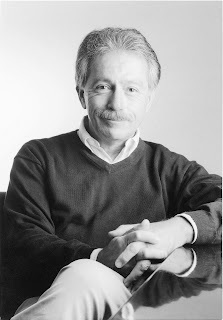 They will be worked out by a Biotech Loan Task Force, chaired by Duane Roth, chairman and chief executive officer of Alliance Pharmaceutical Corp. of San Diego, Ca., and finance committee, chaired by venture capitalist Michael Goldberg(see photo), a general partner in Mohr Davidow Ventures of Menlo Park, Ca. Both are directors of the stem cell agency. Members of the CIRM Oversight Committee did not discuss the loan bank, which is the brainchild of Robert Klein, chairman of the California Institute for Regenerative Medicine. They approved creation of the task force and a new finance committee on a unanimous voice vote at a meeting in San Diego, Ca. Following the meeting, Goldberg told us that he has not yet developed a schedule for his group's hearings, declaring it was too early to discuss details. As we mentioned earlier, a major lending program operated by CIRM poses a host of questions and also opportunities. One advantage of a biotech bank is that it could create an income stream that could continue to fund CIRM well beyond its bonding capacity, which is only about 10 years if it taps the maximum each year. The biotech bank also highlights the unusual nature of the agency, which enjoys special capabilities not shared with virtually all other state departments. For example, it can raise funds much like a private nonprofit organization, although fundraising is a tricky business. A case in point was the star-studded fundraiser in May of 2006 in San Francisco, featuring Julie Andrews, which promised to raise $1 million for CIRM. The actual figure was only $250,000, according to CIRM. A California subsidiary of a Korean firm caught in an international plagiarism flap has bailed out of a $2.6 million grant from the California stem cell agency. Arlene Chiu, chief scientific officer of the $3 billion California Institute for Regenerative Medicine, told the agency's directors at a Wednesday meeting in San Diego, that CHA Regenerative Medicine Institute of Los Angeles (CHA RMI) withdrew its application on Sept. 28 following a lengthy administrative review. She did not elaborate on the matter. She referred questions to Tamar Pachter, general counsel for CIRM, who told us that it would be more appropriate to request the CHA information under California's open records law, a process that takes some time. CIRM directors did not comment on the matter. John M. Simpson, stem cell project director of the Foundation of Taxpayer and Consumers Rights of Santa Monica, Ca., told directors that withdrawal of the application and action involving a grant to the Burnham Institute "spoke very well of the staff and their diligence." He said it showed CIRM was "serious about standards." "'CHA Regenerative Medicine Institute (CHARMI) more than adequately addressed the baseless criticism,' Yi said in a written statement. 'We think the process was needlessly politicized. . . . Nevertheless, we are withdrawing because the last thing we want to do is be the source of any impairment to [the California Institute for Regenerative Medicine's] current level of well-earned public support.'" 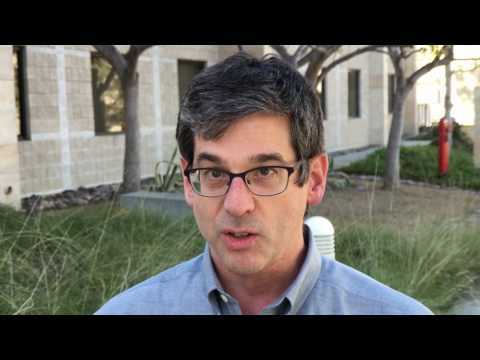 Pachter told us that CHA RMI had met the legal requirements for California nonprofit status. Following disclosure of the Cha controversy, Simpson criticized CIRM's secretive grant award process. He said CIRM was "burned" because of its closed door review of the grant applications. Marcy Darnovsky, associate director of the Center for Genetics and Society of Oakland, Ca., said, "The leadership of CHA Health Systems has a shadowed recent history, including a lawsuit that alleges the director of its fertility center lied in order to obtain a woman’s eggs." One of those alleging plagiarism, Alan DeCherney, editor of the Fertility and Sterility Journal, in May retracted his allegations of plagiarism and perjury. Chiu also said another grant approved by directors last spring was rejected during the administrative review that is conducted on all approved grants before the checks actually go out. Chiu said the principal investigator on the $638,000 grant, David Smotrich, did not meet the criteria of being an on-site, fulltime employee of the Burnham Institute in La Jolla, Ca. In its public review of the, CIRM said last Febarury, "This proposal is exactly the type of research that CIRM should be funding. The personnel is second to none, and it could not have been funded by NIH(National Institutes of Health.). "Smotrich, who runs an in-vitro fertilization practice in La Jolla, is a member of Burnham's clinical faculty. He has also started a stem cell bank that is collecting donated frozen human embryos left over after the in-vitro fertilization process but no longer wanted by women trying to have children. "From those embryos, Smotrich and scientists from the Burnham have been working to derive stem cells. He and a team that includes Burnham researchers Evan Snyder and Jeanne Loring sought the grant to fund work that Smotrich and other benefactors have underwritten to date. "The standards of this particular grant put an independent research facility, such as the Burnham, at a disadvantage compared with an academic/medical facility such as UCSD, where clinical faculty can see patients in an office on campus, said Snyder and Smotrich. "'It's frustrating,' Smotrich said last night. 'But hopefully it's just a hiccup, and there will be other ways to get funding. Perhaps future (grant applications) will be written differently. This is a learning process for everyone.'"